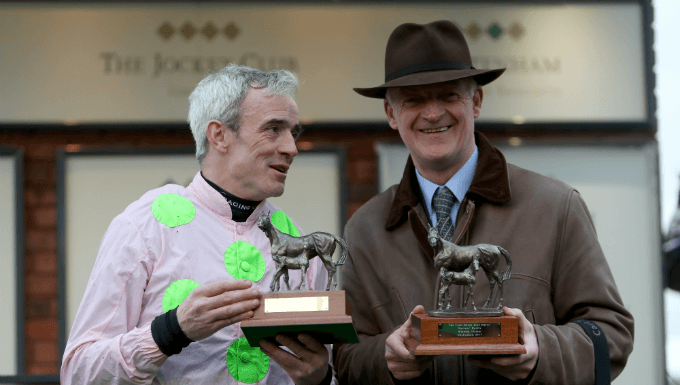 The David Nicholson Mares' Hurdle trends have been dominated by Willie Mullins, the trainer winning nine of the 12 runnings of the 2m4f Grade 1. In 2019, Roksana became the first horse trained in Britain to win the race since Whiteoak won the first renewal back in 2008 for Donald McCain junior, but even then, Mullins saddled the second and third - his odds-on favourite falling at the last when sure to win. There is a section in the trends below highlighting how the last five runnings have panned out, and it could be that those trends are the most useful for the finding the winner. As 10/11 favourite Benie Des Dieux crashed out at the last hurdle, Roksana was left in the lead and romped to victory, finally breaking Willie Mullins's strangehold on the David Nicholson Mares' Hurdle. Benie Des Dieux had done everything right as she sought a second successive win in the Cheltenham Grade 1, a win that would be 10th in the race for her trainer, Mullins, and a ninth for jockey Ruby Walsh. However, like 1/2 favourite Annie Power in 2015, she lost concentrate at the last flight, falling when three lengths clear and looking in command. Her misfortune was Roksana's lack, jockey Harry Skelton pushing the seven-year-old out for a two and a quarter length win. Mullins did not leave empty-handed, 7/1 chance Stormy Ireland finishing second ahead of 25/1 stablemate Good Thyne Tara, the JP McManus-owned Elimay also collecting prize money in sixth. The win by the Dan Skelton-trained Roksana was the first in the race by a horse trained in Britain since its first renewal was won by Whiteoak back in 2008.